They have a unique best-of-both-worlds location; a safe, leafy campus in Egham, Surrey less than 40 minutes by train from central London and just seven miles from Heathrow airport, creating the environment where a close-knit community thrives. Their campus is one of the most beautiful in the world with numerous teaching and study spaces, bars and cafés, high-quality accommodation, and sports facilities. All this is set in 135 acres of stunning parkland. Most teaching and social activity takes place on campus and, with the exception of Kingswood Hall (just a mile away), this is where most undergraduates live in their first year. It’s a friendly place, with a strong sense of community as new students soon become familiar faces. 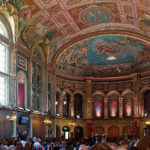 Founder’s Building is one of the world’s most spectacular university buildings, and home to our famous Picture Gallery containing Thomas Holloway’s fine collection of Victorian paintings, and their beautiful chapel. It also houses a dining hall and library and provides a home for 500 students. Situated just 40 minutes by train from London and seven miles from Heathrow, with a number of attractions, sporting and entertainment venues within easy reach, you’ll love their brilliant location. 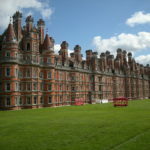 – Royal Holloway was ranked 129th in the world and 19th overall in the UK in the Times Higher Education (THE) World University Rankings 2015/16 (published 30 September 2015). – The 25th edition of The World List of Universities and Other Institutions of Higher Education lists over 16,000 higher education institutions globally. 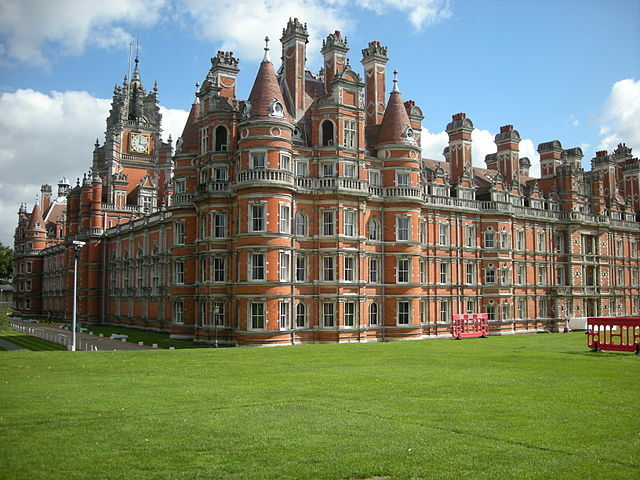 This places Royal Holloway within the top one per cent of all higher education institutes in the world. 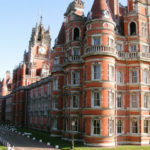 – Royal Holloway sits within the top 25 per cent of universities in the UK for research rated ‘world-leading’ or ‘internationally excellent’ by the Research Excellence Framework (REF) 2014. 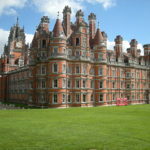 – The National Student Survey (NSS) 2015 revealed that Royal Holloway, with a rating of 89 per cent, is once again top among the University of London institutions and the larger London based universities for overall student satisfaction. – Their world-leading researchers continue to address global challenges, including the development of treatments and therapies for rare diseases and life-limiting conditions, the rapid decline of bees and protecting the UK’s national infrastructure from cyber-attack. 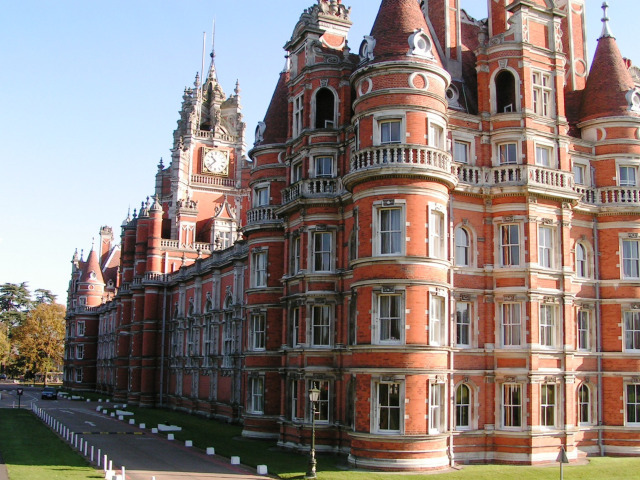 – Recognised as world-class experts in the arts, humanities and sciences many Royal Holloway academics act as advisors to policy-makers and the Government on a wide range of issues, such as combating radicalisation and terrorism. 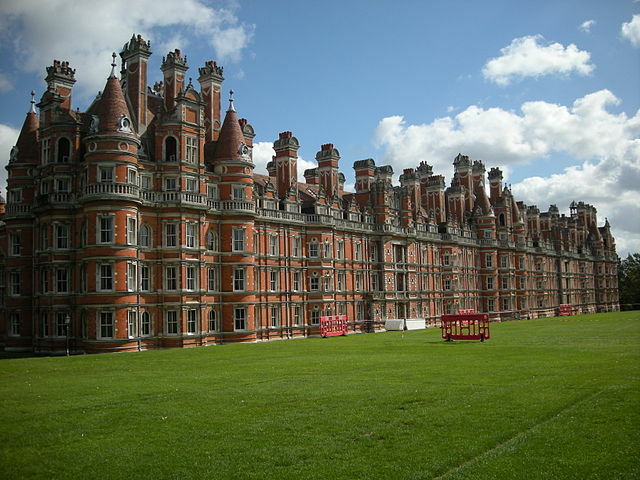 – Royal Holloway has a total of 9,265 students. 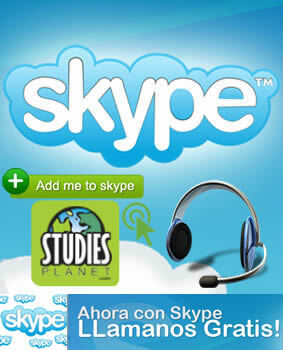 Of these 7,160 are from the UK or European Union and 2,105 are international (outside the EU) students. 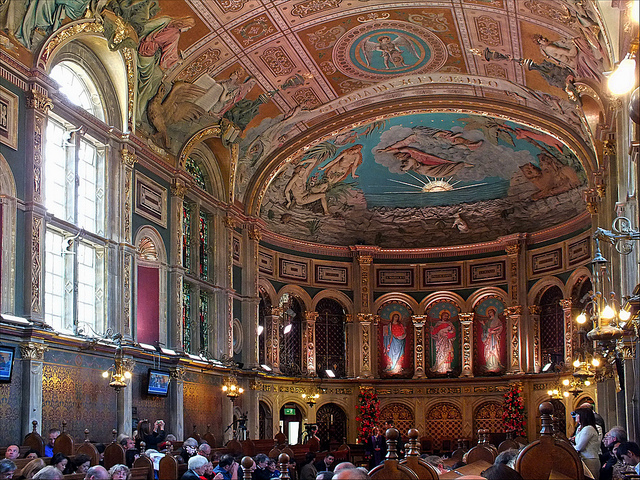 7,126 undergraduates, 1,370 postgraduate taught and 769 postgraduate research students. 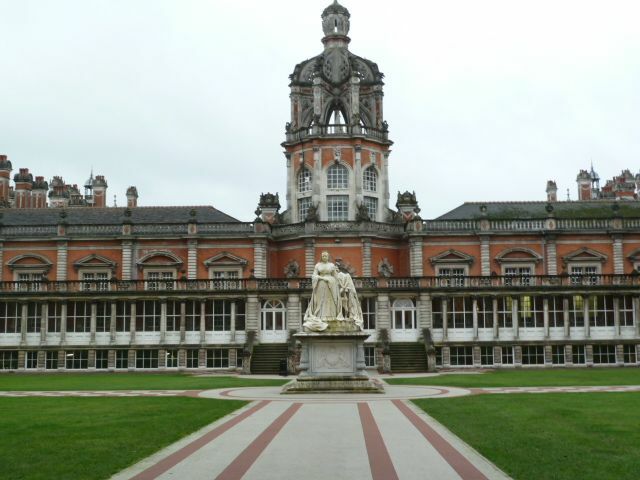 – 1,575 established members of staff working at Royal Holloway across academic, administrative and support areas. In addition, they have visiting teachers, student interns and student staff who work across campus. – The College benefits the UK economy by £480m a year, with around £230m benefiting the county of Surrey. 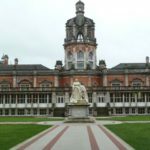 – There are over 74,000 alumni of Bedford College, Royal Holloway College and Royal Holloway and Bedford New College worldwide. Our notable alumni include novelist George Eliot, suffragette Emily Davison, the first woman doctor in the west Dr Elizabeth Blackwell, EU Foreign Minister Baroness Cathy Ashton and Paralympic triple gold medallist Sophie Christiansen. Total number of students: 9,915 (2014/15).